MyCollegeSuccessStory.com is designed to empower college students to study better and achieve greater academic and career success -- from the experts at EmpoweringSites.com. Student Success Stories -- real stories from successful students -- with amazing and powerful tips! 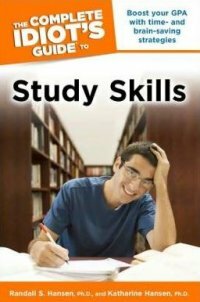 Study Skills Book -- learn about our book, The Complete Idiot's Guide to Study Skills. Academic Success Tools -- a collection of free academic success tools for college-bound and current college students. Academic Bookstore -- editor-picked selections of the best books to help you achieve greater academic success. Check out our featured study skills/academic success article: 10 Tips for Creating Sharp PowerPoint/Slideshow Slides. Like the value of this academic success site? Link to us! Order your copy of The Complete Idiot's Guide to Choosing a College Major, by Randall S. Hansen, Ph.D.